The festive season can be a time for celebration but it also causes plenty of headaches for fantasy football managers. Will Premier League bosses rotate their players? Will a striker keep his form through the busy schedule? We can’t offer any definitive answers but here are some tips for you before picking your team this weekend. 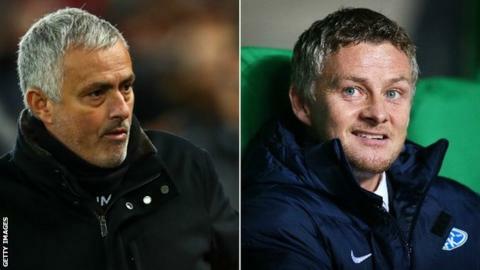 The biggest story in football this week has undoubtedly been the sacking of Jose Mourinho as Manchester United manager and the appointment of Ole Gunnar Solskjaer in his place on an interim basis. United players have struggled for points this season in ponderous team performances but the managerial change could make this a good time bring in a United player or two. When managing in Norway, Solskjaer implemented an attacking style. His Molde team were comfortably the top scorers in the country’s top-flight last season. United also have favourable fixtures. They travel to Cardiff on Saturday and face Huddersfield and Newcastle over the festive period, two other teams firmly in the bottom half of the table. Marcus Rashford and Anthony Martial look like good options, or even striker Romelu Lukaku, who has scored 83% of his goals away from Old Trafford this season. Players who had fallen out of favour with Mourinho could be reinvigorated too, none more so than a certain French midfielder. Paul Pogba was left out of the starting line-up for Mourinho’s last three games in charge but Solskjaer has praised the midfielder heavily in the past. Solskjaer managed Pogba when he was United reserve team manager between 2008 and 2011 and earlier this year said he would build a team around the Frenchman if he ever took over at Old Trafford. Now Solskjaer has his chance, it looks like Pogba will have a key role to play. One new Premier League manager who is beginning to have an impact is Southampton boss Ralph Hasenhuttl. Last week in his second game in charge the Austrian ended the Saints 10-game winless run with a thrilling 3-2 victory over Arsenal. Striker Danny Ings started against the Gunners and scored twice before fellow front-man Charlie Austin came off the bench to head the winner. Both look like good budget striker options for your team this weekend against Huddersfield, although it seems likely Ings will be handed another start. Saints defenders could be a source of points this weekend too when they face the Terriers, the league’s lowest scorers with 10 goals from 17 games. Centre-back Jan Bednarek has started both of Hasenhuttl’s games so far and was awarded man-of-the-match last week. Hazard this week’s big-money signing? Picking your big-money signings correctly can make or break a week in fantasy football. In midfield there are a number of expensive options all of whom are in good form – Liverpool’s Mohamed Salah, Chelsea’s Eden Hazard or Manchester City’s Leroy Sane, to name a few. Salah scored a hat-trick at Bournemouth two weeks ago, Eden Hazard scored the winner in the Carabao Cup on Wednesday and Sane collected two assists in City’s win at Everton last week. Eden Hazard has provided an assist in his last four Premier League games. Gianfranco Zola is the only Blues player to do so in five consecutive games. All three offer a good chance of points but perhaps this week Hazard is the best option. The Belgian forward has been scoring goals this season, eight of them to be precise, but he has been assisting too. He has made assists in each of his last four league games. Chelsea play Leicester at Stamford Bridge on Saturday while Liverpool face a tricky Friday-night trip to in-form Wolves, who have won their last three league games. Over the festive period Chelsea also play Watford, Crystal Palace and Southampton, on paper easier fixtures than Liverpool who also face Newcastle, Arsenal and Manchester City. Kevin de Bruyne’s return from injury also adds more uncertainty to who manager Pep Guardiola will pick in City’s midfield whereas Hazard has started Chelsea’s last six games. Tottenham striker Harry Kane has gone four games without a goal in all competitions, that’s almost classed as a drought for the England captain. He’ll be pleased to come up against Everton on Sunday, a team he has performed well against in the past. Kane has scored two goals in each of his last three games against Everton. Only Michael Owen has scored two or more goals in four consecutive Premier League appearances against a single team, doing so against Newcastle. Kane is also a likely starter because of Spurs’ limited options up front. He has started 16 of their 17 Premier League games this season with the one substitute appearance coming against Leicester earlier this month. He was also left out of the starting XI for the League Cup quarter-final against Arsenal in midweek, only coming on in the second half. It seems likely Kane will feature heavily over the festive period. West Ham are one of the form teams in the league with four wins in their last four games. The Hammers also have kind festive fixtures with Watford visiting London Stadium on Saturday, followed by games against Southampton, Burnley and Brighton – all teams below them in the table. Midfielder Felipe Anderson has become a favourite of fantasy football managers in recent weeks with five goals and an assist in his last seven games, but if you want a cheaper alternative then Robert Snodgrass could be for you. The Scot has been restored to the first team under Manuel Pellegrini and has scored in each of his last two games. In the two games before that the midfielder also provided three assists.